ANCHORAGE, Alaska (AP) — Anchorage residents are apparently not dressing to impress. That's the upshot of Travel and Leisure Magazine's reader poll, which put the residents of Alaska's largest city at the bottom when it comes to being on the top of style. The magazine ran an online poll asking readers to rank 35 American cities on such things as best nightlife, best burgers, best New Year's Eve celebrations, etc. By a three-tenths of a point, Anchorage landed just below Salt Lake City for having the worst-dressed residents. "I think it's a little ridiculous, to be honest," said Hillary Walker, the assistant manager at lulu e. bebe fashion boutique in Anchorage. "I think dressing well is about feeling comfortable, experimenting, expressing yourself through your clothing. I think people in Anchorage do a great job with that." Some others in Anchorage apparently feel differently. The unscientific poll was split between visitors to cities and residents. When you break down the worst dressed list even further, Anchorage residents rated themselves second-to-last, with Salt Lake City residents putting Utah's largest metro at the bottom of the rag pile. 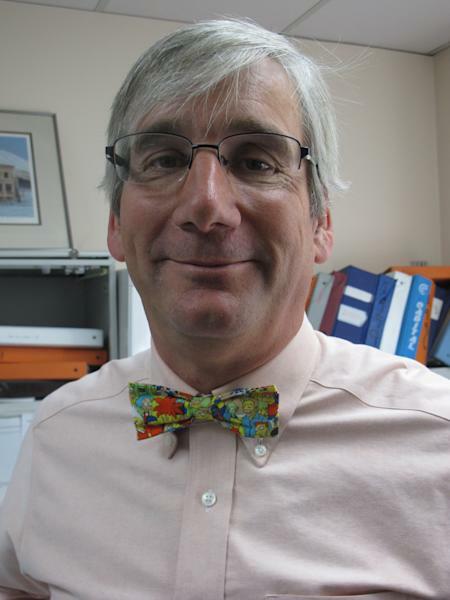 The low ranking for Anchorage doesn't surprise state of Alaska labor economist Neal Fried, who went to work Thursday wearing his signature bow tie, this one featuring characters from "The Simpsons." He discounts the theory that Anchorage residents don't shell out big bucks for fashion because of the higher prices for clothing, especially since he calls Anchorage a wealthy city — with a median income 41 percent above the national average. Instead, he surmises it's the lifestyle of Anchorage residents and the city's weather. Anchorage is an outdoors city, with downhill and cross country skiing, snowboarding, hiking, running and biking leading residents to resorts and trails all year long. Often, you'll see people out to dinner with friends and their dress may appear they're better suited for a campfire. "You can go hiking and then straight to dinner, and you might be at a five-star restaurant," Walker said. "You have to have a versatile wardrobe." "It's more important to get out and do things and meet with friends, then I think to focus on being fashion-appropriate and savvy for every event," said Kris Natwick, membership director for the Anchorage Downtown Partnership. And there's a good reason you see women favoring a pair of bunny boots over heels in the winter, which can stretch from October to May. "You're not going to wear high heels out when it's been snowing six, eight, 10, 12 inches," Natwick said. "You're going to dress appropriately for the weather." Anchorage had a record snow this past winter, with more than 11 feet. That surpassed a nearly 60-year-old record. "It's really hard to be real stylish in February," Fried said. "But you know, it's easy to be stylish in LA in February." Mayor Dan Sullivan takes the poor ranking in stride. He calls Anchorage a casual city because of not only the climate, but also because of the rugged, gritty work that people do in that weather. "We feel very comfortable dressing down, and at the same time, being comfortable in the climate," said Sullivan, who wore a sport coat, dress shirt and Jerry Garcia tie to work Thursday. He joked he tries to dress "semi-mayoral on a daily basis." But that doesn't mean you won't see Alaskans dressed to the nines at social events. Sullivan notes that Anchorage was named No. 1 for jobs by Forbes this year, and the best winter city in America by livability.com. "We'll take the accolades along with the humorous other rankings." For the record, the Travel and Leisure poll put New York City at the top for fashion. 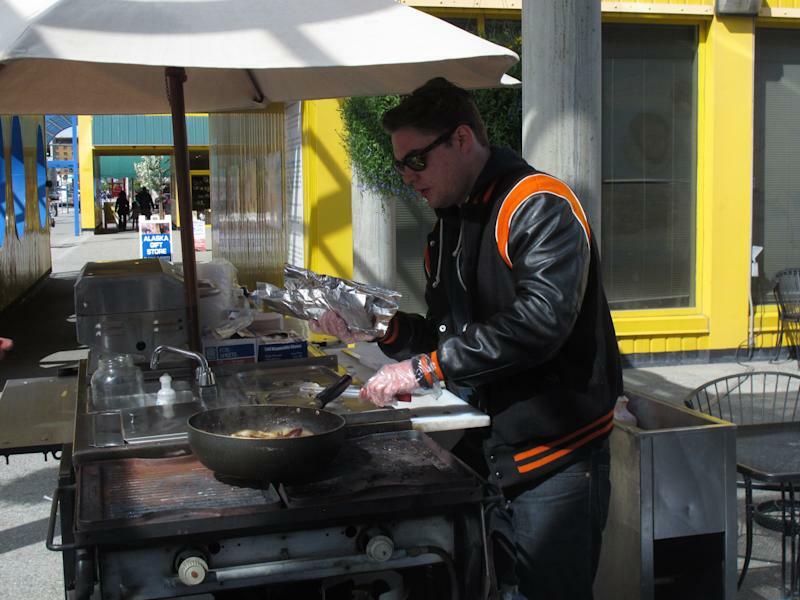 "When you go to New York ... you're just happy to be in New York and you want to dress to impress," said Anchorage DJ Scott Root, who was manning his friend's hot dog stand in downtown Anchorage on Thursday. "There's a lot more fancier stuff there." But in Anchorage, "it's all outdoors," Root said. "I think we'd be embarrassed if we were on the top of the list," Fried said. "Actually, I think we're proud where we are." Rich Beattie, executive director of travelandleisure.com, says he doesn't believe the low style ranking is necessarily a bad thing for Anchorage. He said he's been to Anchorage and throughout Alaska, and the areas have so much going for them. In fact, poll voters placed Anchorage at No. 4 for the city with the best peace and quiet. It also ranked high for best summer and offbeat travel and pretty good for Fourth of July travel. "I think they are reasons that people travel to certain cities, and it's not necessarily to dress up and be stylish and hang out with stylish people," Beattie said.